The petition is very long but it summarises the new information and further research from the even longer letter of objection. Historic England needs to change its advice, in line with the new information and further research, because both Tower Hamlets and the Planning Inspectorate are guided by its statutory advice, which currently supports the demolition and replacement of the roof; and the list entry description for the recently-listed Grade II building sugests that the black mulberry tree is not a veteran tree. (NB: the governments' Planning Inspectorate makes the final decision if Crest Nicholson appeals against a refusal by Tower Hamlets). Tower Hamlets could itself take account of the new information and further research but is unlikely to do so without this petition. 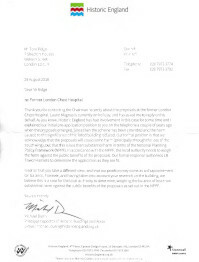 Tower Hamlets (LBTH) also needs to be 'put on notice' so that if it fails to carry out any of its duties under the National Planning Policy Framework (NPPF), there can be a judicial review of its planning permission. 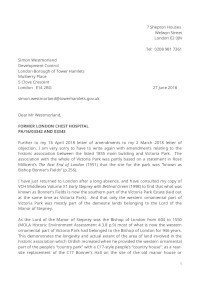 SAVE Britain's Heritage and a local resident have already written to LBTH and HE, and The Victorian Society has written to LBTH but the petition needs to be signed by as many people as possible; and as soon as possible so that Historic England and Tower Hamlets can respond positively to the petition before Crest Nicholson's amended application goes to the LBTH strategic planning committee in July or August 2018, following a consultation on the latest amendments which ends on 28 June 2018 (NB: this is the second re-consultation). 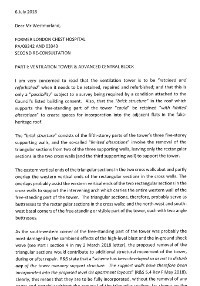 The amendments include the possible retention and refurbishment of the existing ventilation tower (rather than its demolition and replacement by a fake heritage tower). Also the possibility of retaining some of the existing flooring in the attics but the entire roof of the listed 1855 main building is still to be demolished and replaced. 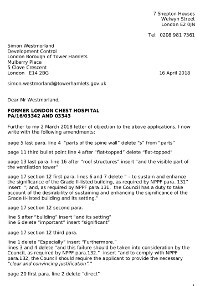 In an attempt to justify this unnecessary destruction of part of a listed building in a conservation area, there is also an April 2018 fabric assessment, which is mainly dealt with by the petitions eighth bullet point. 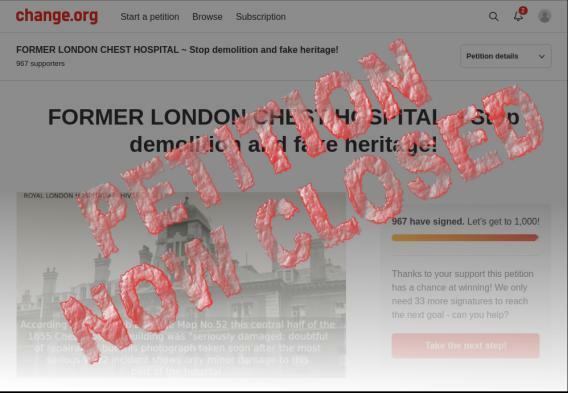 The petition is not an objection to the planning application so can be signed by people who have already objected and/or signed a petition. 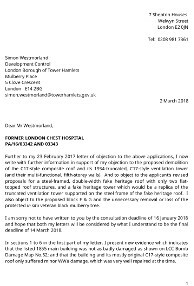 Should you also wish to object to the demolition and replacement of the roof, proposed block F & G and the relocation of the veteran black mulberry tree and demand the proper repair of the ventilation tower please send an email to [email protected] by 28 June 2018. Please provide your friends/members/media contacts with the link to the online petition and, if possible include the background information.